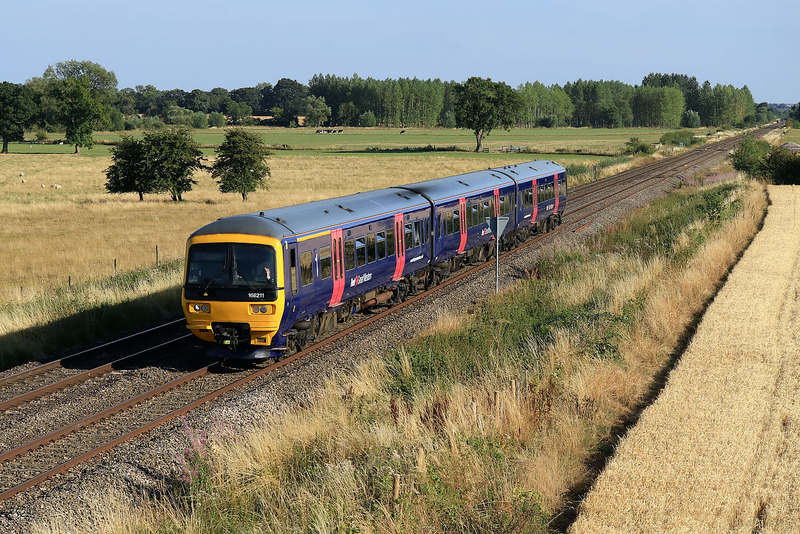 Aside from being a Class 166 on the Cotswold Line, which in itself is much less common in 2018 than formerly, after most of the class have been transferred to Bristol, this train is also noteworthy for another reason. 166211 approaches Moreton-in-Marsh on 4 August 2018 with what at the time it was photographed was the 1W06 16:54 Reading to Hereford GWR service, a last minute replacement for the cancelled 1W06 16:22 Paddington to Hereford HST service. However, it only got as far as Worcester Shrub Hill. Both the initial cancellation, and the early termination were apparently due to train crew issues.